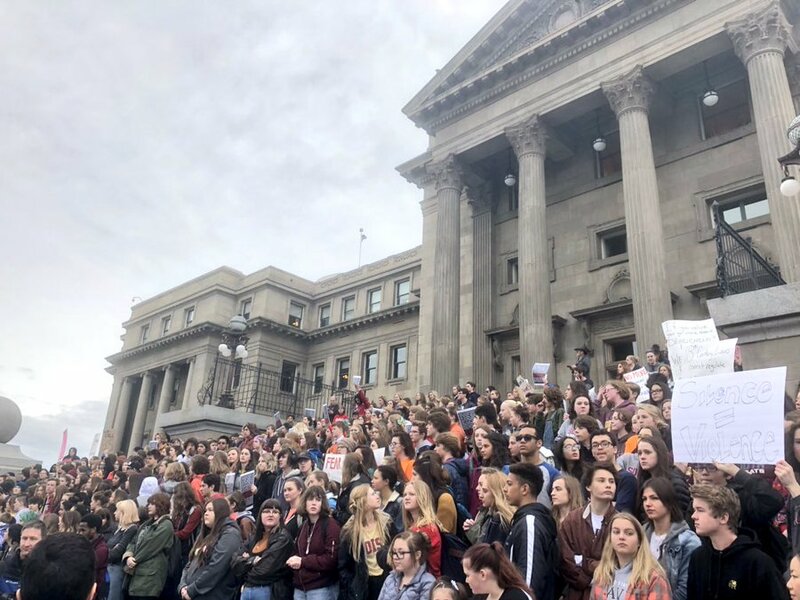 Students marching in protest around the country against school shootings! In each of the latest US mass murders, including the one in Florida, the killers had clearly telegraphed their intention to do what they did. The police did not feel they had the authority to detain them, so the killers acted within a day or two of being released without detention. These scenarios are not the fault of the police, and not the fault of guns, and not the fault of foreign political terrorists. It’s our laws that are way out of date. At the federal and state levels we need to rewrite the laws to take account of the ongoing situation inside the United States. It’s refreshing to see students march all over the country to protest the ongoing wave of domestic mass murders, many in schools. They know something needs to be done. They think they know the single solution to the problem: stop gun sales. They would be more credible if the students marched in protest of the wave of mass shootings and simply demanded that their government find ways to address the domestic danger. There is no one solution that will stop these domestic mass murders. I’m going to propose that Congress and state legislators have been wishy-washy about confronting domestic terrorists and passing tough laws to detain and control them before they act. Here’s one way to close the jagged holes in the laws.